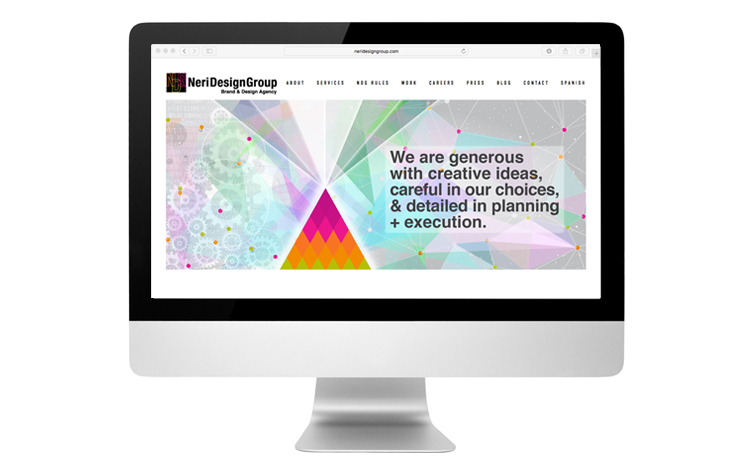 NDG is a Brand + Design Agency specializing in Strategic Design Communications. 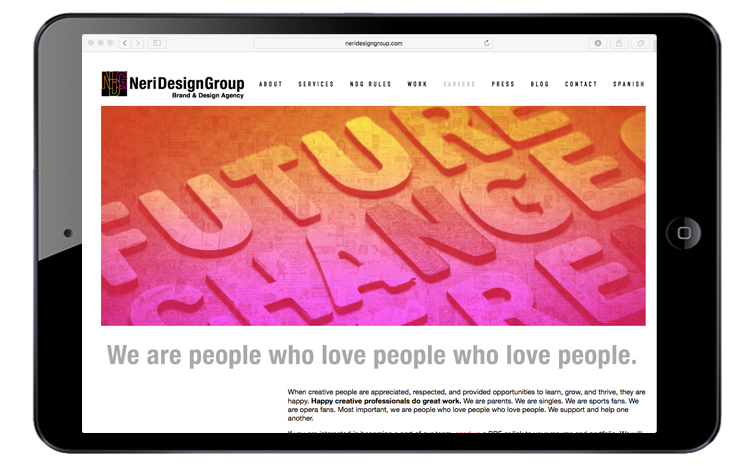 To re-design the original brand, identity, logo and it's applications for the company. 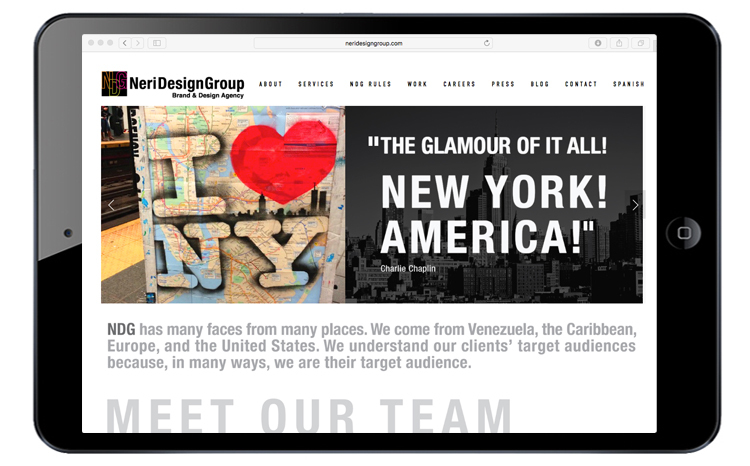 Design & develop the website. 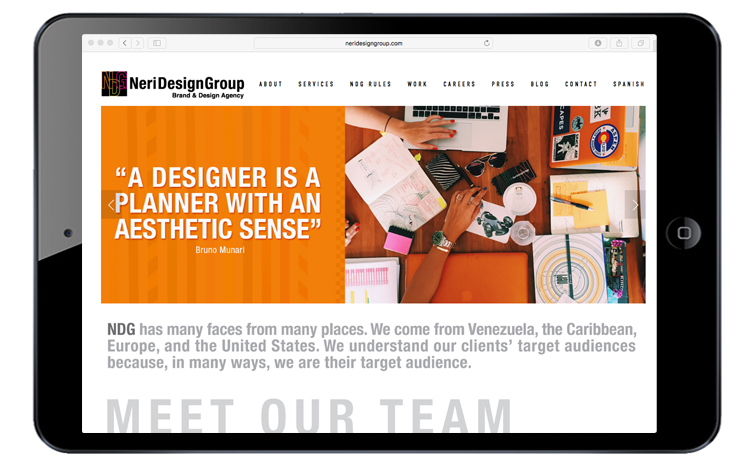 To carry the brand through to social media platforms: Design custom skins, favicons & avatars for the following: Instagram, Youtube, Facebook, LinkedIn, Pinterest, Tumblr & Twitter. 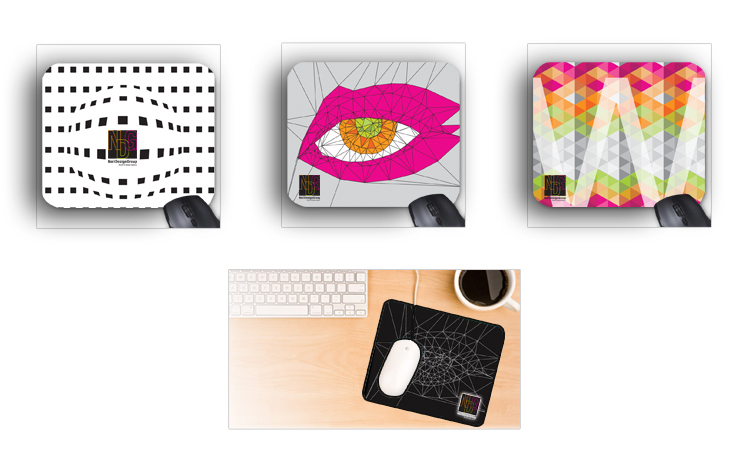 Design promotional products such as: mousepads, coasters, mugs, brochures, and others. 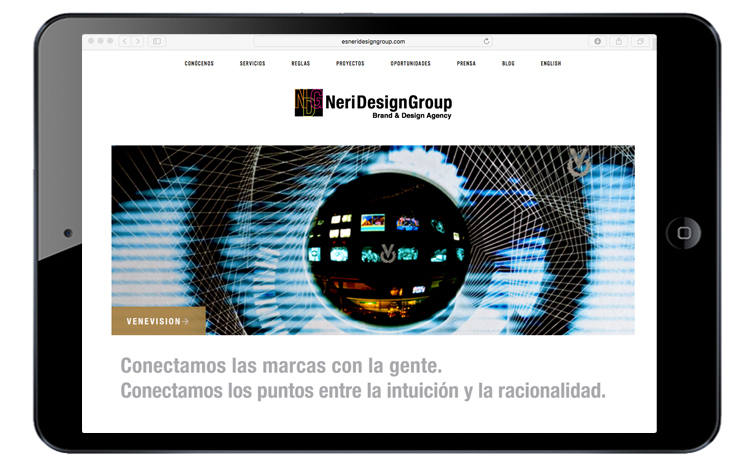 As the Interactive & Digital Designer at NDG, I was responsible for defining and translating strategies into creative concepts. 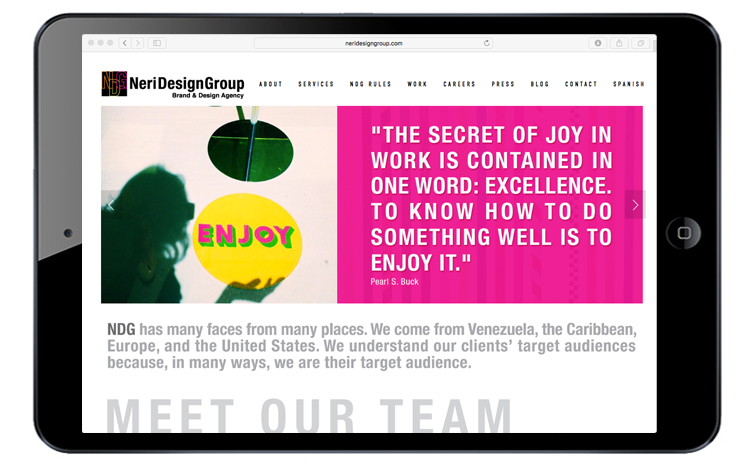 I typically lead numerous design-related tasks, which may include web design, UX (User Experience), product development, advertising or general creative roles such as assembling together images, typography or motion graphics, to create pieces of design that present information in a way that is both accessible and memorable.sophistication. 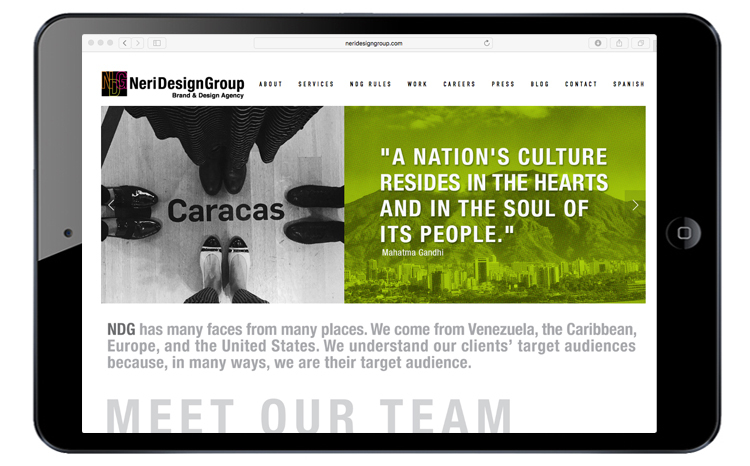 For this particular project, I designed and developed the website for NDG, created a series of short promotional animated videos for the brand, designed and supervised the production of products related to it and re-designed collaboratively with the Design Manager the brand identity.